Nature Valley has been known for years for their delicious and healthy products. They have created granola bars, protein bars, breakfast biscuits, and oatmeal. Many of which that we have all come to love. 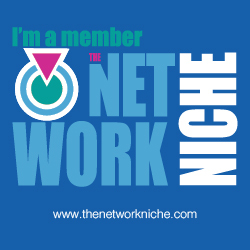 My favorite product is their granola bars but that is slowly changing since I tried their newest products. 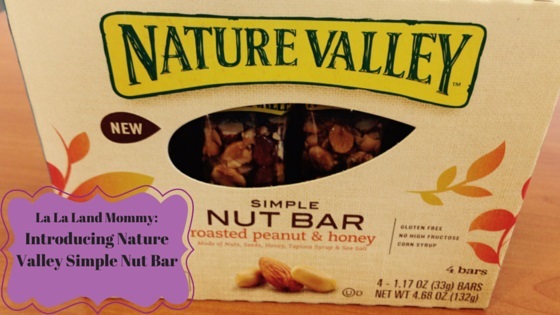 The Nature Valley Simple Nut Bar is the newest product from Nature Valley. The Nature Valley Simple Nut Bar has only 7 ingredients in it. I wanted to give this product a try so I headed to my local Publix and picked up a box. Publix is known for its great savings. Especially their by one get one free sales. We shop there often. I’m glad that I could find Nature Valley Simple Nut Bar there. There are two flavors almond cashew sea salt and roasted peanut & honey. I chose to try the flavor roasted peanut & honey. I happened to be looking for a snack at the moment so a little after I bought it I gave it a try. It was so delicious! It tasted almost like a peanut butter sandwich without the bread. It was a burst of flavor. A good mix of sweet and salty. I think it is a great snack for children and adults. It is gluten free and contains no fructose corn syrup. This is great for people with gluten allergies. I actually wish there were more in the box cause they didn’t last very long in my house. I highly recommend giving Nature Valley Simple Nut Bar a try. It is a great snack for all. You can save a little money on these great bars by downloading a coupon that gives you $0.75 cents off. You can also to enter the giveaway below. This giveaway is very simple all you have to do is answer the questions in the rafflecopter. I hope you give this product a try. Don’t forget to download the $0.75 cent off coupon. These bars are exactly what I need to keep my energy up while I'm pregnant! They will definitely do that. I had a good amount of energy after eating one. I would love to try new bars! I definitely recommend giving them a try. I think you may like them. I am just getting into the bar life these day and Nature Valley is my go to for the best bars. I love their variety and flavors and it feels like I am eating something I want to eat instead of something I have to eat. I use to be in LOVE with Nature Valley's Honey and Oat Bar. Man, couldn't get enough of them. I use to take them to work daily for a snack and have one when I came home in the evenings. I stopped eating them for a while because my allergies wouldn't tolerate them anymore. I may try a bar now to see how it goes. I'll have to stick to Honey and Oats because I'm allergic to nuts. I have never tried one of these and was not aware of the brand! Thank you for highlighting it today! They certainly look healthy and wish I could go for trying one or two of these right now! What a great price! I was surprised at the price cause healthy snacks are usually more expensive. Now I want to try the German nut bar. I love to grab bars like these when we travel, they are great to take for a snack on the go. I have not seen this variety before I will have to look for these the next time at the store. Thanks for the giveaway! 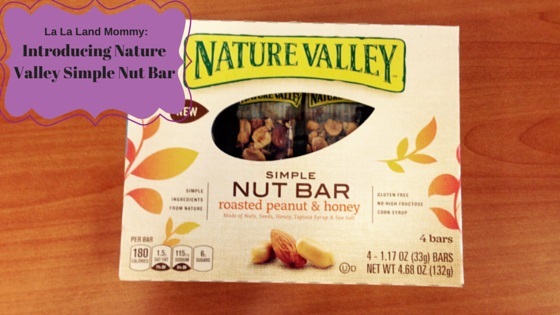 We love snacking on Nature Valley Simple Nut Bars. The almond cashew sea salt is my favorite. They are healthy and I love that they are filling snacks. Thanks for sharing the coupon. I will also join the giveaway. I have to try the almond next. I went with the nut I was familiar with first. Not really almond fans. However I don't mind giving them a try. I love nature valley bars, great as on the go snacks. I totally agree. I love them too. I LOVE Nature Valley and have not tried these but will be. The chunky peanuts look yummy. I love a good crunch. I love Nature Valley!! I will definitely have to try these! I have bought the granola bars for years! They are delicious! I hope you can find them and try them. I don't think you will be disappointed at all. Oh, my gosh - that almond sea salt sounds great! I'll have to check it out! Thanks for so much for stopping by. I hope you like it. I love Nature Valley bars. They always taste so delicious. I saw these at the store just the other day and thought my husband would love them for an easy breakfast on the way to work. This coupon will be perfect because I think he actually like them. thanks! We love Nature Valley in my household! I also love that the bars only have 7 ingredients. I watched this documentary recently that has me so alert about the things I'm putting into my body and how they affect me. It's nice to find wholesome, healthy brands you can rely on. Thanks for sharing! The fact that they only have seven ingredients is the biggest thing that's going to keep me buying them. Hope you give them a try. I think you will really like these. Such a great snack. I'm going to try those next. They really sound delicious. I am a big fan on the Nature Valley's breakfast biscuits, those are so delicious, I can't imagine my mornings without them. I have also tried their oatmeals - pretty good, but never the granola bars, as I have other favorites. I think I am gonna take advantage of that coupon and try them now. I didn't know they had breakfast biscuits. I'm going to see if I can find those on my next shopping trip. Nature valley has such good granola bars! The new flavor sound yummy. I love peanut butter so I'm definitely going to have to search for them. Yes nature Valley has so many great products. I think right now this is my favorite. I've heard these are really awesome, really yummy, and really healthy! I love any bars that have a lot of nuts and berries in them, so these are right up my ally! Thanks for sharing! I have been a nature valley bar lover for a while. I will definitely need to check these out. I hope you can find them. They are definitely worth trying. I love the Nature Valley brand! This is different and this is also a good giveway! If I liked nuts I'd be all over this. Glad you found them to try. Yes I'm glad I gave them a try to. That's another shocking thing. I don't really like things with nuts in them that much. We love Nature Valley bars. They are so easy to take on the go! Yes! They also make a great late night snack. I need to try the cashew almond bar that you mentioned. That sounds good! Hopefully they have them in other grocery stores, as we don't have Publix in my area. Thank you so much for stopping by. I really appreciate it. Yes. I'm trying my best to get healthier. It is so hard. I'm trying to find a balance between the things I like and the things I love. These sound so good! I need to check if they are carried in my local market, We don't have Publix here in Cali. Aaaawwww man! I hope you find them. They can also be found in Kroger. Yes the nuts and the honey are a really good mix. I agree I like healthy foods that don't taste bland. I haven't have Nature Valley in a while but I used to love the Oats and Honey while I was in college. You would really like these. They are really delicious. Yes a perfect combination. It is really good. Oh those all look so good! I love that they have gluten free ones! I love how healthy they are too! Would be great for snacks! Definitely the perfect snack and they leave you feeling full until the next meal. I do love my Nature Valley bars! I'll have to check these out. They'll give the Kind bars some competition. Our family loves Nature Valley bars. I usually go to Costco and purchase the big box of fruit and nut granola bars but I need to try these. I hope you get a chance to try them. It is definitely worth the money spent. Sounds like some great flavors. The flavors are excellent. I was really surprised. Yes it those type of snacks that are so surprising. Makes you wonder exactly how healthy they are cause they taste so good. These look yummy, going to keep my eye out for it next time I'm at the grocery store. I hope you get a chance to try them. They are really good.